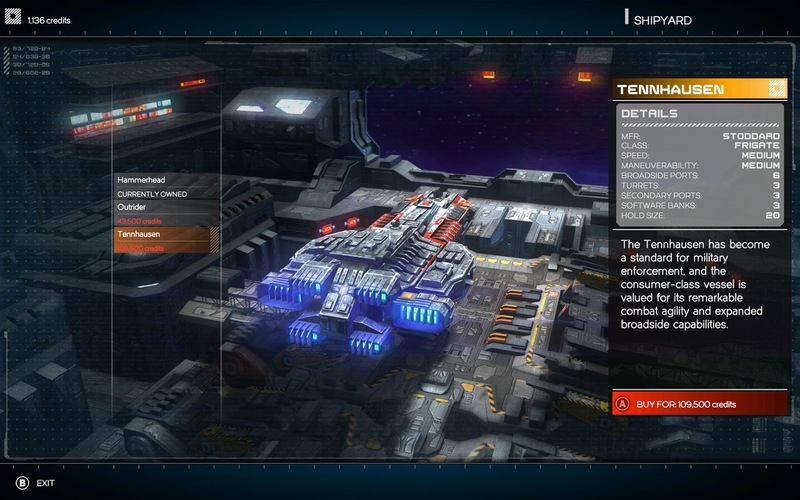 Rebel Galaxy surprised me by offering a take on the space simulation/RPG genre and bringing it to console in a way that worked well with a controller. With more of an emphasis on action than strategy, the only real flaw - and it is a notable one - is the repetitious nature of the gameplay as you delve further into what it has to offer. If you were a fan of Firefly (criminally too short of a show in the opinion of myself and anyone else who has a taste for quality sci-fi), Rebel Galaxy finds a way to immediately tickle something in the back of your mind. You really do feel like a swashbuckling rogue as you take your ship into deep space and take on a large number of missions and enemy ships. Everything about the visuals to the slightly twangy music brings the exploits of the Firefly crew and the catchy introductory song for the series to mind. To that end, it was a quick and easy matter to fall in love with what Rebel Galaxy had to offer in the early stages. The various RPG hooks work well also. As you acquire more money (generally from completing missions), you have ample opportunity to use it to improve your ship. You can deck that bad boy out in a variety of different ways. Some are pretty basic, with better weapons or more protective shielding. You might have to increase your cargo capacity, and there's some exotic stuff on offer too - early on I felt the need for a tractor beam so I could complete one of the quests in the first hour or so of the game. Seeing the sights, moving onto new worlds and encountering unique ships was a real treat early on in the game. Despite these statistics-based items that tack onto your ship and help to improve its performance, Rebel Galaxy is actually more of an action game when it comes to combat. You can fire shots from the sides of your ships or train them to the front to try and delivered more concentrated damage to your enemies. 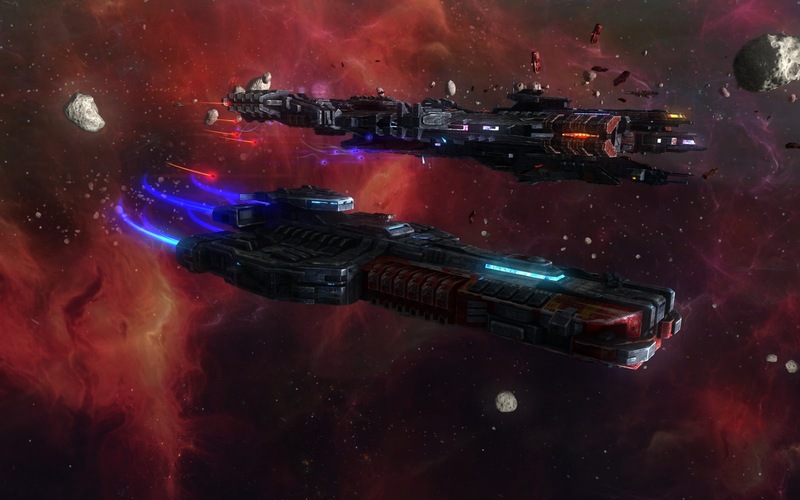 While warping around space from one mission quest to another, you will encounter other ships in the area. There were a handful of times I got waylaid by much more powerful ships that helped me learn the meaning behind 'run away an live to fight another day'. It is a credit to the UI design that I was able to easily navigate around and identify potentially troublesome opponents quickly and easy. While the title released on PC first, it actually makes a surprisingly deft transition to the console space. The more action-oriented nature of combat lends itself to controller use and the universe is really more of a 2D affair (you travel along a specific height to your destinations, not up and down but horizontally around), and this again makes gameplay easier than it might be if you had to navigate a three dimensional world without the benefit of a mouse and keyboard. I thoroughly enjoyed my first few hours with Rebel Galaxy before a notion began to creep into my mind. Despite the ability to upgrade my ship, there was very little genuine progression in my character and gameplay mechanics. You continue to pile on statistical improvements, running quests with different names and locations but the same basic objectives over and over again. Rebel Galaxy is also not helped by the poor, lifeless voice acting. It is a bit easier to overlook when an alien is talking in a unique language (and is a nice touch), but the human characters bring so little to their voice roles, which dampened my enthusiasm. Also, the basic story is best described as superfluous. You just happen to meet up with a guy who gives you a quest or two and then tells you that your aunt is missing. Which I think we can all agree is perhaps the most wasteful use of a narrative when the developers had literally the entire universe to work with. No, really, let's go ignore all that because we have an aunt to track down. Having something of a repetitive grind at the heart of your game is not necessarily a bad thing. 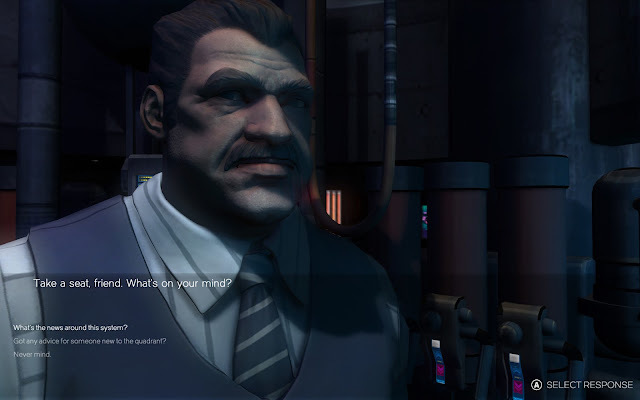 There are a ton of RPGs out there that do the same, and despite its action sequences, Rebel Galaxy is an RPG at heart with its statistical progression and the ability to make choices (though they seem to have very little outcome on events). However, the carrot dangling at the end of the stick has to be an interesting one to help prod the player through the grind, and Rebel Galaxy offers too little on this front, leaving me with a very flat feeling about the game despite my positive initial impression. Smuggling loot, dodging more powerful ships and exploring new locations really hits at the heart of what works for this title. Again, it plucks at that Firefly comparison as I often felt like a well-natured rogue in the depths of space. But bubbling under the surface Firefly was also a ridiculously dense narrative that dealt with all kinds of incredibly complex and challenging themes. Firefly without that depth would simply not be the beloved show we all remember - even if we don't care about or think about those themes, they are still present. Rebel Galaxy is Firefly without those themes. It makes a good transition from PC to console, but Rebel Galaxy was far too vapid and uninspired to be a really stand out game in the first place. While that means it's not terrible, it's also a complete waste of what the far reaches of outer space offers for creative narrative, and this is deeply disappointing.